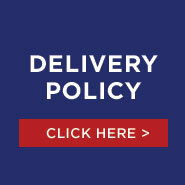 For EXPRESS / PRIORITY delivery, please see our Express Delivery page. A $45.00 charge applies to local delivery for purchases less than $950.00. We do not charge extra for assembly. It is included in our delivery. We do not charge extra for garbage removal. It is included in our delivery. A $150.00 applies to local pick up of returned furniture. You may pick up your furniture from 5 United Furniture Club locations throughout the Bay Area. You must be present at the time of the delivery. If you need to reschedule the delivery time you must notify us 48 hours in advance. A $75 delivery charge will be added to your order for if we need to make another trip to your home. We will only deliver to address placed in your order. For your protection, we require 2 forms of pictured IDs at the time of delivery. Please contact us for non-local delivery. United Furniture Club reserves the right to end or change this free shipping offer at any time. Our goal is to deliver your furniture to your home as quickly as possible. Our in-home delivery team works seven days a week and makes sure that your furniture arrives safely in your home. Once your furniture arrives in our warehouse in Sunnyvale, a delivery representative will contact you to schedule a delivery time. Our in-home delivery team removes most furniture from its packing and inspects it for flaws and defects prior to delivery. Your furniture will be 'blanket-wrapped' and securely placed inside our trucks. Our in-home delivery service team will unpack or unwrap your furniture and remove all packaging from your home. Setup and assembly are included in the service. We do not charge extra for assembly. It is included. We do not charge extra for garbage removal. It is included.